Plant Cannabis in any form (leaf, bud, resin etc.) is a Schedule 1 drug and not available for regular medicinal use. Nabilone is a synthetic cannabinoid, licenced for use in chemotherapy induced nausea and vomiting and since 2010 it is now regulated and prescribed as a Schedule 2 drug (similar to morphine). It is widely used to treat pain and spasticity. 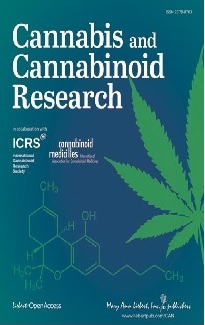 All cannabinoids are available for use in basic research projects. Plant Cannabis in any form is a Class “B” illicit substance. This is the classification for legal purposes and reflects the potential harm of the drug. It also helps determine the punishment for possession or supply. This is against the advice of the independent Advisory Council on the Misuse of Drugs. Growing any Cannabis (for medicinal or recreational purposes) is illegal except under a Government licence. There are no exceptions. 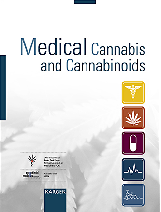 The defense of “Necessity” was used by patients growing or using plant cannabis as a medicine. This defense was taken to the House of Lords in 2004 and rejected. Prosecutions for the possession of small amounts of cannabis for obvious medicinal use seem to be rare these days. This reflects a sympathetic and pragmatic approach by the police and judiciary. Industrial growers and suppliers for the recreational market are the main target of the police. Politicians and the media focus heavily on the potential psychiatric harm particularly in adolescents. However, the independent Advisory Council on the Misuse of Drugs has reviewed the evidence and do not find any strong links. Sativex has been undergoing clinical trials for 13 years now and still does not have a licence in the UK for clinical use outside of Multiple Sclerosis.